Metro Chamber Board votes in support of Measure U and the opportunity for it to serve as an investment for inclusive economic development and drive regional prosperity for businesses and neighborhoods. SACRAMENTO, Calif. (August 9, 2018) – The Sacramento Metropolitan Chamber of Commerce announced today it will endorse the City of Sacramento ballot measure, commonly known as Measure U, set to appear on the November ballot. The measure asks voters for a one cent sales tax that would continue the funding of essential city services, including police, fire, parks and an additional investment for inclusive economic development. Measure U would provide the funding necessary for greater investment into socioeconomic challenged neighborhoods which aligns with the Metro Chamber’s endeavors to cultivate an inclusive economy that leads to regional prosperity. The proposed $50 million in additional funds that may be raised by Measure U would align with many of the Metro Chamber’s programs and efforts to advance workforce readiness, investments in innovation capacity and business accelerators and support funding mechanisms for subsidized housing. We want to hear from you, please share your thoughts with us at metrochamberpublicpolicy@metrochamber.org. During the Metro Chamber Board meeting on August 7, Mayor Steinberg addressed the Board on the merits of Measure U. During the dialogue, Mayor Steinberg outlined the priorities for Measure U funds, along with its oversight and accountability, to ensure businesses and individual tax payers receive specific and measurable reports tied directly to outcomes that provide the most impact for communities. Measure U was initially passed in 2012 by voters to restore City services following budgetary cuts during the recession. The half cent sales tax currently funds essential public safety including police officers, gang prevention, fire protection, emergency response, libraries and park maintenance. On July 31, 2018, the Sacramento City Council voted 7-1 to place a new measure of a one cent sales tax on the November ballot. The additional half cent is being proposed as a means to fund inclusive economic development. In 2012, all California cities lost funding for economic redevelopment which dissolved over 400 redevelopment agencies and nearly $5 billion in funds. 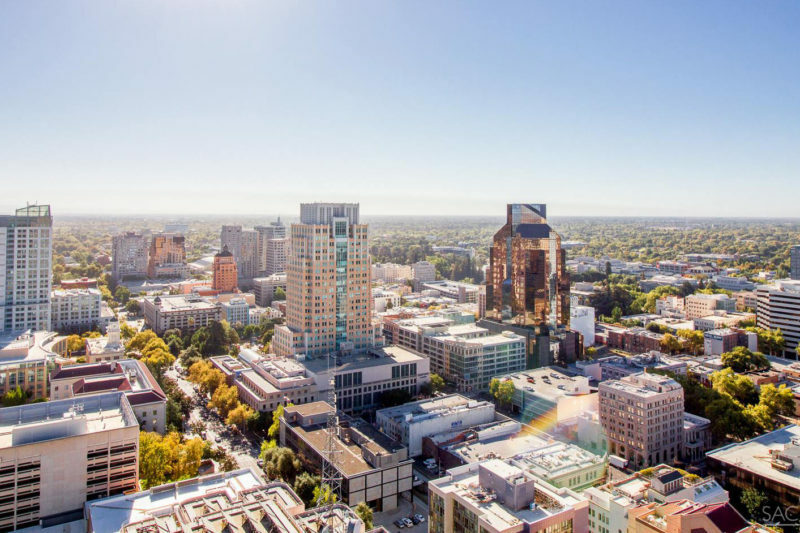 Sacramento was especially impacted as it struggled with a lack of investment towards capital projects and the crash of the housing market. Measure U may be a means to once again fund projects critical to economic prosperity, housing and job growth. The measure will need a majority vote in November in order to pass and take effect. Learn more about the current Measure U on cityofsacramento.org.